In 2011 when Angelique Kerber arrived at the US Open, she was nearly 24 years old, had been on the tour for 7 years, and had passed the first round main draw of her previous Grand Slams on just 5 of 19 attempts (and had never been past the 3rd round). From the outside looking in, most experts I'm sure would have already pigeonholed her career as a journey woman destined to be a perennial early round Grand Slam loser until career end. That she slowly but surely built herself into a regular top 10er was superb…. That she has just become the World#1, won her 2nd Slam of the year, and also made finals appearances at Wimbledon and the Olympics is simply remarkable. 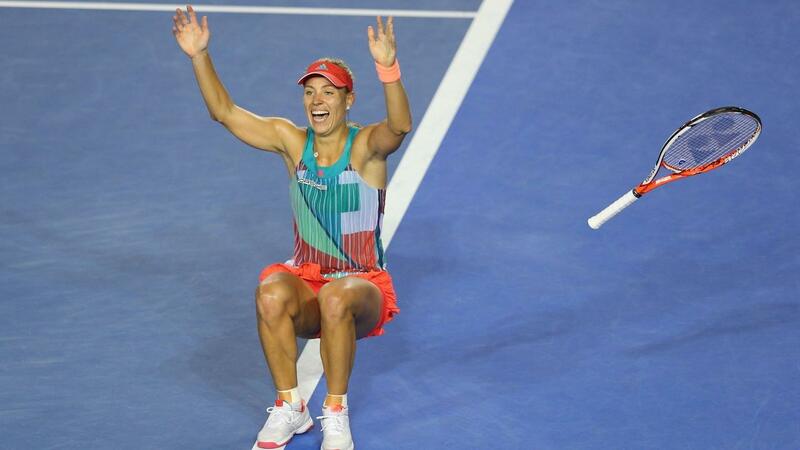 In 2011 when Angelique Kerber arrived at the US Open, she was nearly 24 years old, had been on the tour for 7 years, and had passed the first round main draw of her previous Grand Slams on just 5 of 19 attempts (and had never been past the 3rdround). From the outside looking in, most experts I am sure would have already pigeonholed her career as a journey woman destined to be a perennial early round Grand Slam loser until career end. That she won her 1stSlam yesterday against perhaps the greatest women’s player of all time after 12 years on tour is simply remarkable.